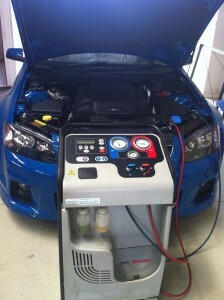 Rivercity Car Care provides a professional car air conditioning regas service in South Brisbane. Our qualified technicians will come to your home or workplace to regas and test your cars’ air conditioning system on-location while you wait. Some complex repairs may be conducted off-site at our car servicing workshop in Yeerongpilly. Rivercity Car Care provides comprehensive air conditioning maintenance including installation services, system flushing and general repairs. 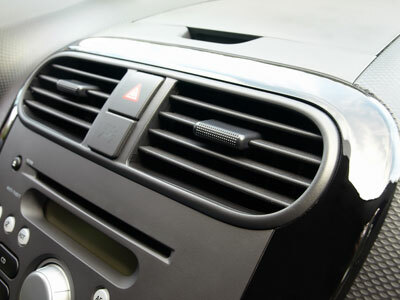 Your car air conditioning system may leak small amounts of refrigerant gas throughout the year. These leaks may be caused by vehicle vibration, worn valves, physical damage or other problems and may result in reduced airflow and cooling. A musty smell in your vehicle may also indicate your system is not functioning correctly and mould could be growing inside the evaporator. This may indicate a car air conditioning regas is required. Regular servicing of your system will ensure leaks and other problems are identified and fixed by our qualified technicians. Your service will also include a free temperature check to ensure your system is working correctly. Our expert staff will complete your car air conditioning regas in Yeerongpilly, South Brisbane while you are at home or work. Air conditioning regulates the heating, ventilation and air quality in your passenger compartment. Your system should be serviced annually and service timeframes should not be based on the distance you have travelled. Vehicles driven irregularly are at greater risk of refrigerant leaks because oil is not circulating through the system and this results in dry and cracked seals. Our car air conditioning service technicians in South Brisbane will test pressure levels and identify leaks during your service to ensure your system performs efficiently. Contact us to service your car air conditioning in South Brisbane.